Stripes of baseball player silhouettes, bases, playing fields, and baseball gear on a red background, separated by blue stripes of baseball words and phrases. Batter up, it’s time to play America’s favorite pastime! 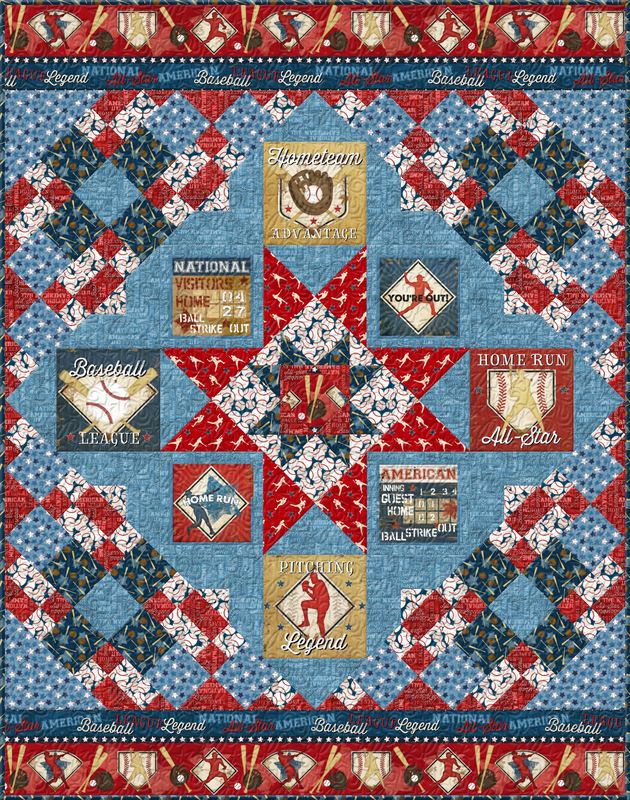 Celebrate the sport of baseball with fabrics featuring all kinds of baseball gear, themes, and styles in Americana colors.